The Google Home app has seen some big enhancements lately, and with the rollout of v1.26, it's gearing up for some more. 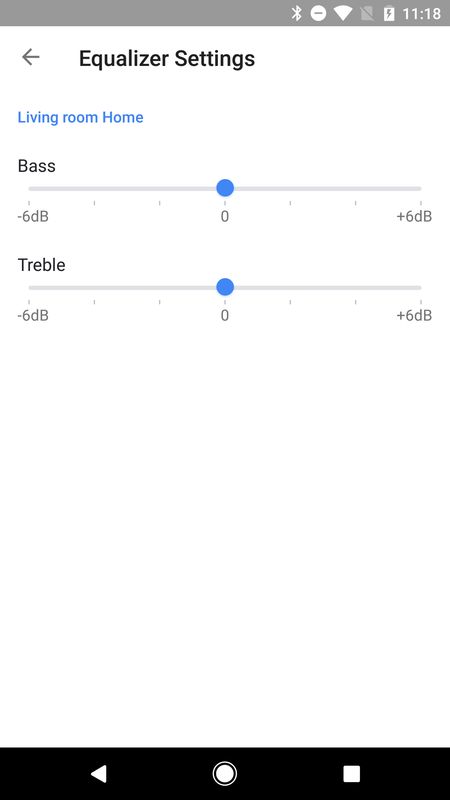 The latest update brings the notable addition of EQ settings for speakers and introduces a new screen for backdrop history. Users of Android 8.0 Oreo might also notice their app shortcuts are now sporting fresh adaptive icons. However, the main topic comes to us via a teardown that shows a new feature called Speaker Pairs which will enable us to take two speakers and set them up to work in stereo. Google published a blog post earlier today to discuss improvements made to the Home app last month with the v1.25 update and through other server-side improvements. 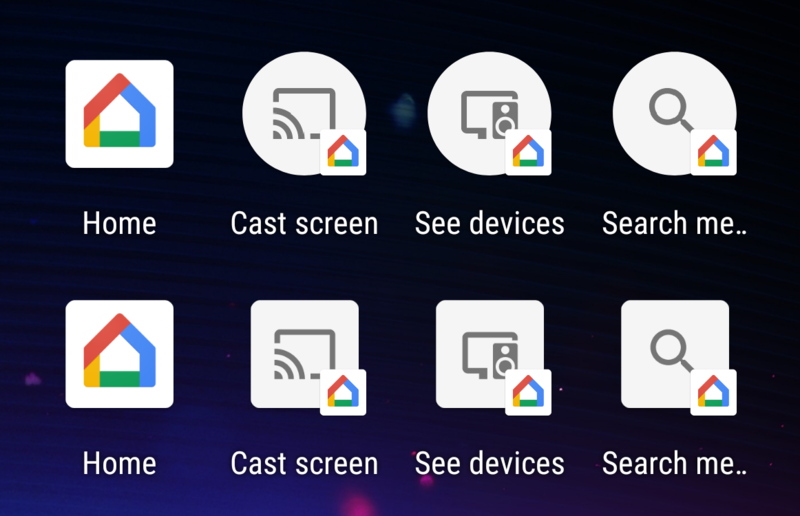 These include a completely redesigned UI, better browsing and search experience, remote control screen for casting content, and improvements for casting movie trailers. We've discussed them in this post when the update came out. 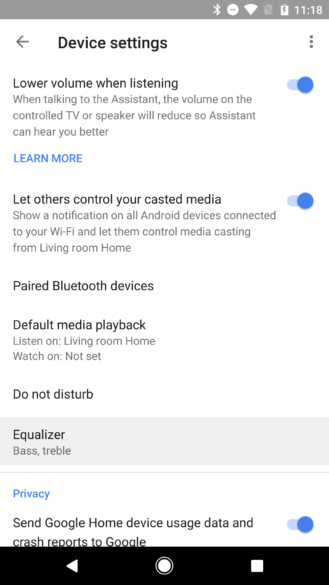 In preparation for the much more powerful audio capabilities of the Home Max, Google is rolling out an equalizer feature to work with most (or all?) 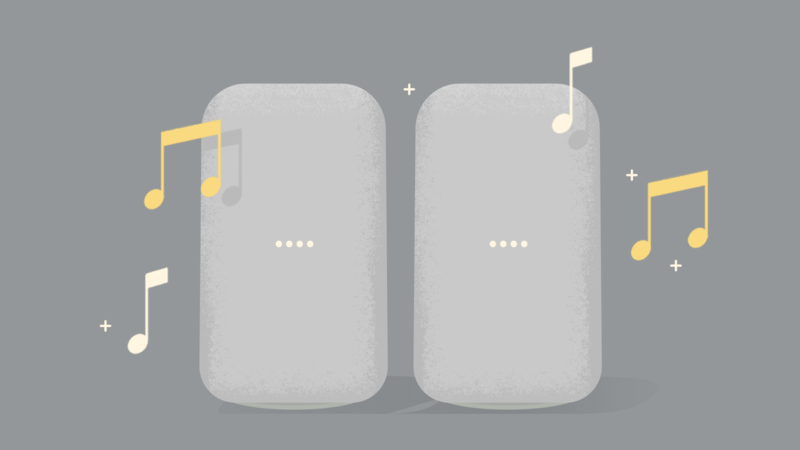 Chromecast-enabled speakers. 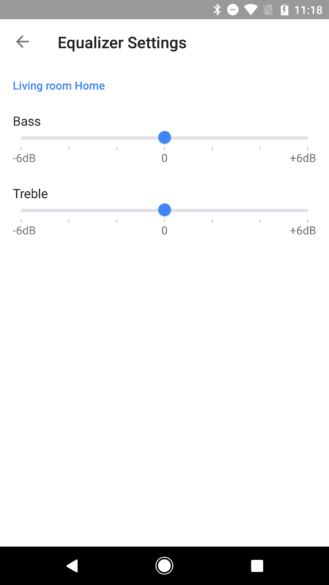 Most speakers will only get treble and bass settings, but for the Home Max and speaker pairs (more on that in the teardown), you'll also see sliders for 'Room EQ' (Home Max) and balance (speaker pairs). 'Backdrop' is the name for the screensaver-like feature that cycles through a bunch of pictures when your Chromecast or Android TV are idle. 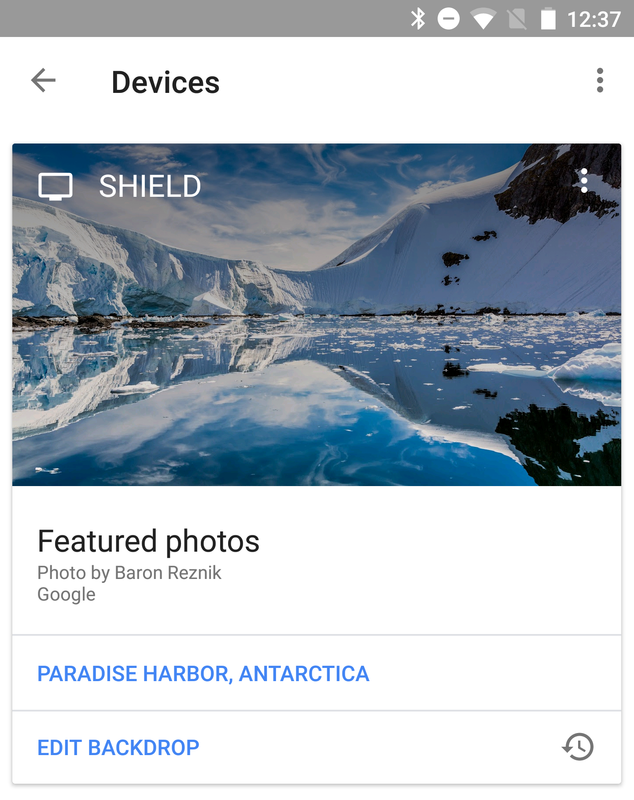 If you're at the main page of Google Home, you'll also find a card in your feed that shows the same pictures on the screen. 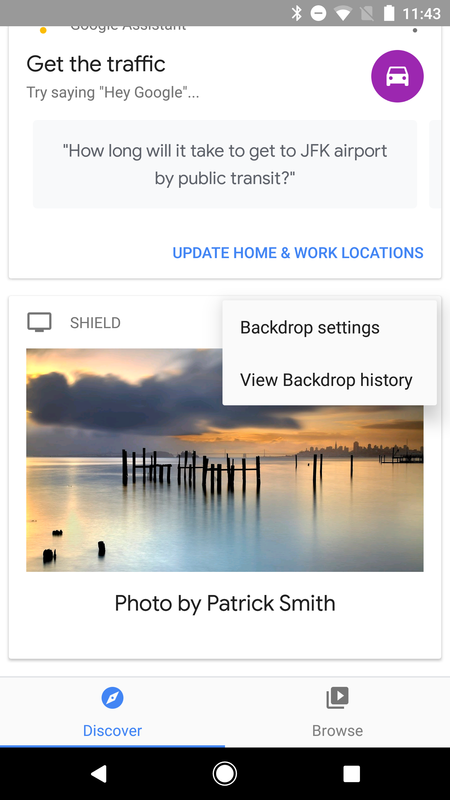 New in this version is a command in the overflow menu that loads your Backdrop history, which appears in a brand new screen (shown above). Of course, you've been able to look over Backdrop history for a while, but it was only available from the Devices page using the history button (shown below), and the history display remains seated in the same card rather than switching to a new screen. Strangely, the new interface hasn't replaced the old one, they are both accessible from their respective screens. It has been a big week for adaptive icons as several other Google apps have had updates made to either their primary icon or the icons of their app shortcuts. Google Home is no exception. 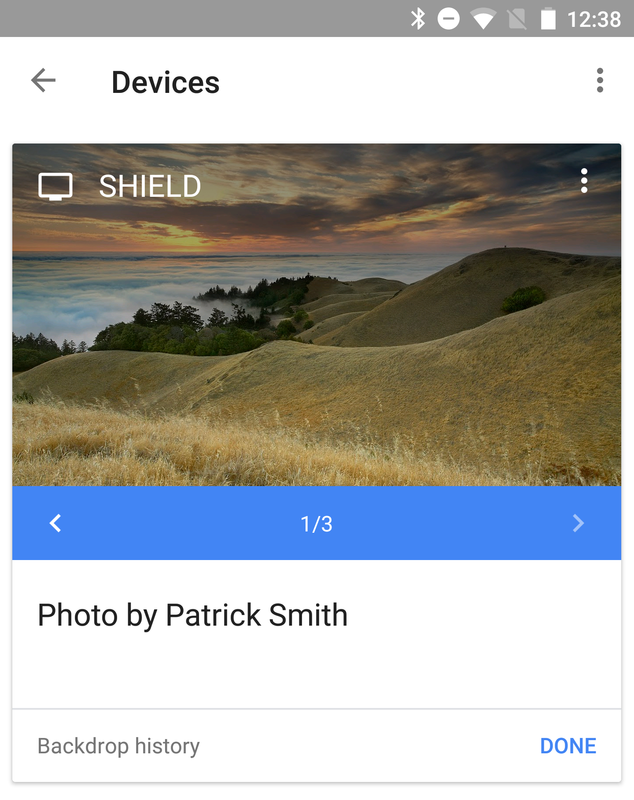 The app shortcuts weren't quite as obviously behind the times as some other apps, but they were locked into a round shape with previous versions, but they will now take on the chosen background mask with v1.26. 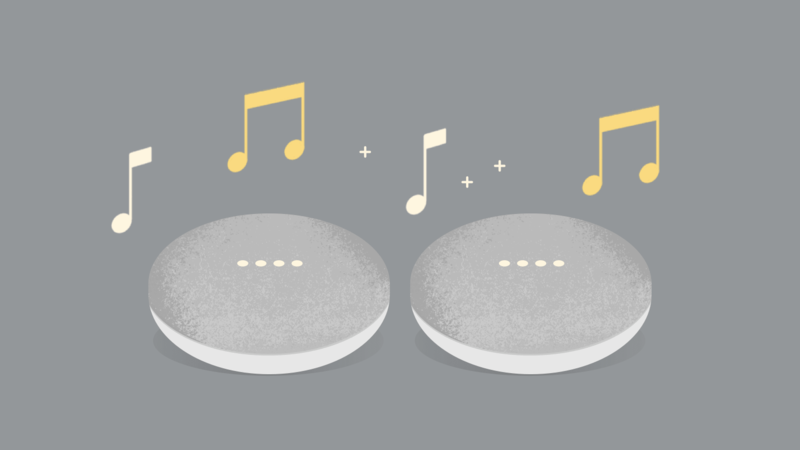 When Chromecast Audio came out, everybody wanted Google to enable multi-room streaming. That eventually came in late 2015. Users then moved onto a new request: Stereo sync – linking two independent speakers and assigning left and right channels to them. That's what we're talking about now. The v1.26 update includes a huge batch of new text describing the feature they call speaker pairs and its setup process. In short, you'll just have to get two speakers in the same room, begin the pairing process, and assign them as left and right speakers. 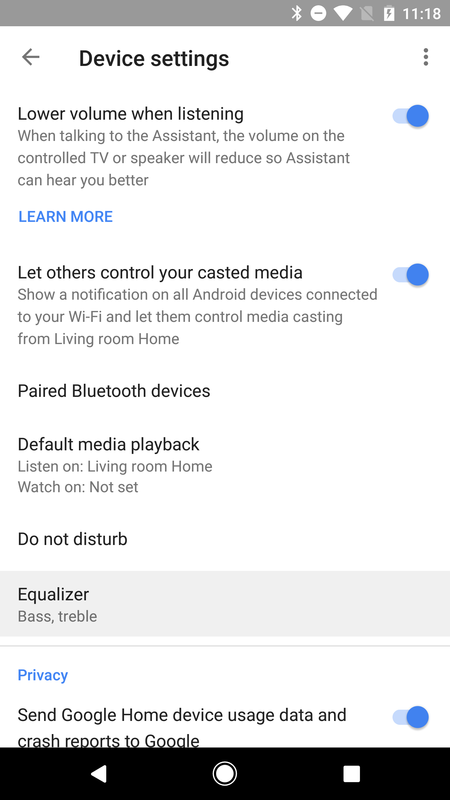 It's not really clear if this feature is intended for just Google Home speakers or if any Chromecast-enabled speaker will work. 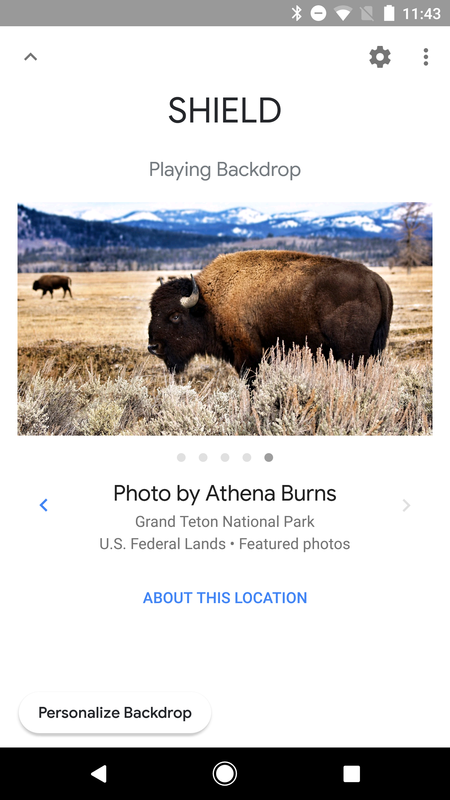 At this time, example images (shown below) only represent the three Google Home models available today, but that doesn't mean all that much right now. 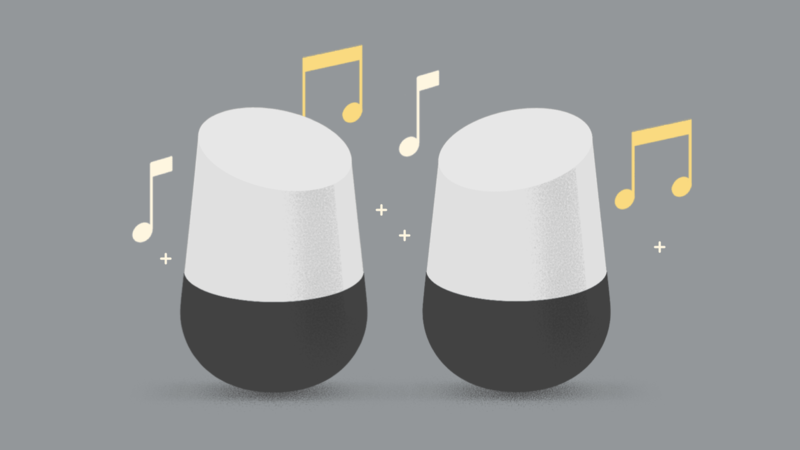 Finally, just because they're cute, here are some new messages that will be displayed any time you're stuck waiting for a firmware update to complete on a Google Home or Chromecast device.